As a teenager, Geoffrey Lyons left his small town in Nova Scotia to wander the Himalayas. He renunciated his former life and became enthralled with Sufism, a mystic school of Islam. Learning how to play the ancient music of India and Pakistan, Lyons was reborn as Tahir Hussain Faridi Qawwal. "It was definitely a transitional time for finding a direction in my life," Qawwal said. "Sufi called to my heart. I was just drawn in by that divine spirit of devotion." Studying to play the tabla (Indian drum) and the shruti box (Indian harmonium), Qawwal discovered, as his name implies, the devotional music genre of qawwali. For more than 500 years, Sufis have performed qawwali music to praise God, lament the dead or to tell love stories. "I really appreciated how the poetry of qawwali was non-dualistic, in that it does not worship one particular deity," Qawwal said. "It's very profound and beautiful." In 2001, Qawwal founded his band Fanna-Fi-Allah with fellow musician Aminah Chishty. They created the traditionally arranged qawwali ensemble to spread the music of the Sufis to the West. Over time the group grew into the seven-person band it is today, with Qawwal leading the outfit, performing lead vocals and harmonium. A Fanna-Fi-Allah show is equal parts rambunctious and monastic, with wild drumming and handclaps laying the groundwork for evocative poetry depicting the wonders of creation. Often the crowd becomes part of the spectacle as well, dancing and clapping along with the band. "It's a highly developed music," Qawwal said. "There's a lot of creativity and spirituality and wild abandonment." Although the history of qawwali stretches back more than half a millennium, Qawwal still finds new ways to experiment in his music. Part of this stems from traditional songwriting progression and part comes from the inherent nature of the qawwali genre. "It's full of improvisation and spontaneous expression," Qawwal said. "A lot of it you can't sing the same. It's more of a framework you play and sing within." Fanna-Fi-Allah has released multiple albums throughout their career, on their own Tabaruq Records, but studio sessions cannot quite match the elegant bedlam of their live shows. Fortunately, there are also multiple live albums in their catalogue as well. "It's a learning experience," Qawwal said. "I think we're especially appreciated for keeping classical arrangements." In roughly two decades as a band, Qawwal estimates Fanna-Fi-Allah has played 2,000 shows across the world. They've performed across the U.S., Europe, Australia and have been welcomed by the countries of their inspiration: India, Pakistan and Afghanistan. According to Qawwal's website, "Fanna-Fi-Allah was certainly the first 'mostly' white-skinned qawwali ensemble to sing at such highly regarded Sufi centers. Also, Aminah Chishty was the first female qawwali tabla player ever given permission to perform at such places where qawwali is traditionally only performed by males." As a Westerner fully embracing Sufism and growing deadlocks nearly spanning the length of his body, Qawwal has faced some accusations of cultural appropriation. However, he says these accusations are likely to come from Westerners themselves. "I haven't noticed anything like that in India or Pakistan," Qawwal said. "Other Westerners might question it. But if you look at it, it's really not about who's playing the music. It's a beautiful marriage of several different cultures to begin with." Since their inception, the music of qawwali has grown around Fanna-Fi-Allah. 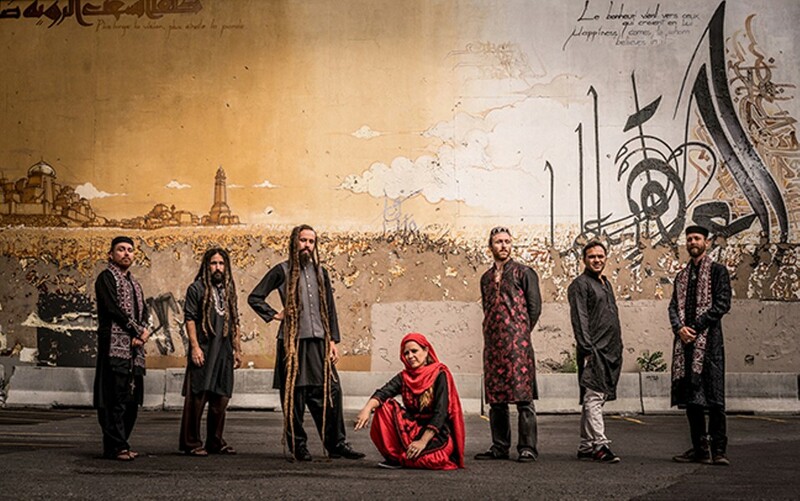 Aside from their upcoming show in Tucson, the band is slated to play at multiple qawwali and alternative music festivals throughout the U.S. later this year. "Most of all people feel the sincerity and devotion of the music," Qawwal said. "And that is something that transcends culture."